The Joomla! certification program ensures the competence of Joomla professionals through a tangible measurement of skills and knowledge. A professional certification can play an important role in the decision of a company or business owner when hiring skilled individuals for specific roles. Exams are taken on site, they are computer based, in a multiple choice format. A total of 60 questions need to be answered in 90 minutes. The exam is currently only available in English. As soon as enough translators have passed the exam, we will offer the exam in different languages. This approach is necessary in order not to exclude anyone from taking the exam. 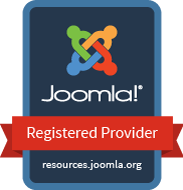 The whole examination programme is still under development form the official Joomla! side as well as form APPLICATIOS side. In case you are interested in APPLICATIO future offers, please send us an e-mail. More information about the Joomla! Learning Partner Programme you can find here and regarding the exams here.